Nitish Kumar's JD(U) is seen as growing apart from the BJP over seat sharing and his projection as the face of the NDA in Bihar in the 2019 Lok Sabha elections. Nitish Kumar rules Bihar in alliance with the BJP after ending ties with RJD and the Congress. Bihar Chief Minister Nitish Kumar has said his party will take a final call on seat sharing in the state for 2019 general elections after seeing what the BJP has to offer. Mr Kumar's party is seen as growing apart from the BJP over seat sharing and his projection as the face of the NDA in the state in next year's Lok Sabha elections. His party today issued a carefully crafted statement after a strategy session during its crucial executive meet. "We aren't helping or supporting or opposing the BJP. The Janata Dal United will fight elections in four states on its own," senior party leader KC Tyagi told reporters. "We fought in Gujarat, in Nagaland, in Karnataka on limited seats... We carry the political agenda of our party," he added. In his address at a closed-door meeting, Mr Kumar said all efforts to "eliminate and isolate our party will end up in isolation of those forces trying to do so", a party leader said. The JD(U), an ally of the NDA, is seen as being increasingly disappointed by the BJP stance since Mr Kumar formed the alliance last July after breaking ties with the Congress and Lalu Yadav's party. There has not been any positive response from the Centre on special economic status for the state, which has been a key objective of Mr Kumar for the voters back home. The party has also been snubbed in terms of cabinet seats in PM Modi's last reshuffle. Seat sharing will be a key issue for the JD(U). Ahead of the executive meeting, Mr Tyagi was reported as saying that it would be "a big brother in seat sharing for 2019 polls in Bihar". 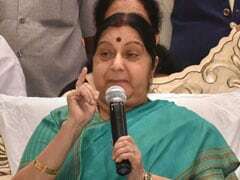 But senior BJP leaders like Giriraj Singh, who is also a Central minister, and BJP general secretary Rajendra Singh had hinted that Mr Kumar is not indispensable. Mr Singh had indicated that even without the JD(U), the BJP-led alliance was capable of contesting Bihar's 40 Lok Sabha seats and ending up winning three-fourth. Sources have said the JD(U) leadership has conveyed to the BJP that they are not willing to settle for fewer seats.